Your Facebook profile is a thing of beauty. You’re following all the right people on Twitter (and they’re following you back!). Your LinkedIn company profile is complete and you’ve posted quality content that got you noticed. Congratulations! You are winning at social media, sort of. Let’s face it, these are just social media basics; everyone needs to do these to get in the game. It’s the extra stuff that creates a winning social program. 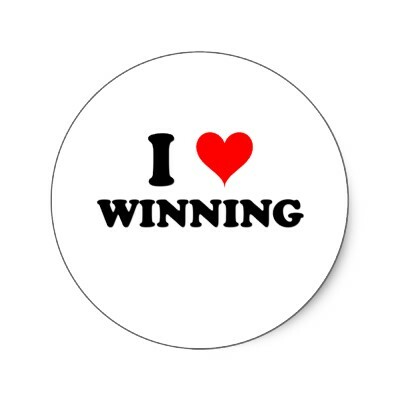 How do you win at social media? Start by doing these five things. While creating unique content is ideal, it’s not realistic for all businesses. Engaging in a little social stealing is acceptable⎯retweeting or reposting trending content⎯just create a clean post with a link and give a hat tip to your source. While reposting with credit is totally acceptable in the social sphere, plagiarizing is not. Never claim someone else’s content as your own. You lose credibility and tarnish your brand. Social media is a dialog between your brand and your customers. Mostly the conversation is positive and that makes your job easy. You should respond to most, if not all, feedback received on your social media channels; even a like or favorite has meaning to your followers. Reponses should be personal and timely, never use canned answers (unless it’s a legal thing) and always respond within a few hours of the initial contact. Then there’s the hard job: Dealing with negative feedback. Negative comments send us in fight or flight mode. Resist the urge to do either. Deleting their comment makes you look dishonest; you’re trying to hide anything bad on your page. Fighting back with insulting or negative comments is customer service suicide. How do you win back an unhappy customer? Respond quickly, with sincere sympathy, and offer a solution. After the initial contact take the conversation off social; phone or face-to-face is always the best method. If a customer continues posting negative comments after your initial social response, don’t say anything else. Arguments played out in social media rarely end well for your brand. People enjoy a good infographic. In the last two years this digital marriage between information and art has infiltrated the social media sphere in a big way. Some studies show engagement (retweets/shares/pins) increases up to five times more when there’s an infographic in the mix. With stats like that, I know you’re itching to start producing your own. Before you do, understand these two things: Reliable information and the cost to create the infographic itself. The purpose of infographics is to inform and that starts with facts. Sketchy facts reflect badly on your business, so rely on credible sources for your information. Sites that end in .org, .edu, and industry-respected content leaders like Wall Street Journal or Forbes are your go-tos for reliable facts. Like anything in social or writing, don’t forget to credit back to the info originator. Unless you’re a graphic artist, be prepared to hire someone to complete the task. Cost can vary depending on the artist’s experience and your area of the country, but it’s safe to ear mark about $1,000. While that cost can be hard to swallow for small business owners, there are websites that can help you DIY your infographic for a fraction of the oursourcing cost. Like anything in your marketing plan, make sure an infographic fits with your strategy or brand before you start. Just like your traditional media plans, social advertising benefits your brand. With ad revenues at $2.9 billion, most people are flocking to Facebook to get it done. It makes sense too; ad rates are low and you can hyper-segment your target audience by age, gender, location, and interests. No other medium can come close to narrowing a target like Facebook. Don’t let the affordable cost and built-in audiences fool you into lazy marketing. Since you can reach moms ages 35-55 in Madison, Wisconsin who love champagne, make super sure your content engages and attracts this audience or your ad will flop. Businesses love ROI and social is no exception. Most social media channels have metrics you can download and divide up into charts, tables, and diagrams (oh my!). If you’re not the numbers person in the business, you still need to understand and check your social metrics. Just like sales figures measure the success of your business, social data helps you weigh the effectiveness of your program. Facebook, G+, and Pinterest have the most robust metrics, slicing and dicing your information, posts/pins, and followers in half a dozen ways. You can use this information to gauge which content resulted in the best customer engagement, who your customer is and where they live, and when is the best time to post. All of these things are gold to your brand and make your job easier. A word of caution, relying strictly on data can make for a lopsided program. Your social should be a mix of metrics and customer engagement review. Winning at social is like running a 5k. You need to train, train, and train some more. In time, all your hard work will pay off and you’ll look great.